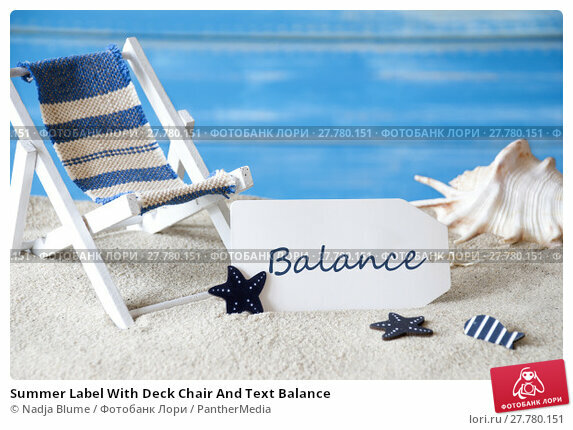 Summer Label With English Text Balance. Blue Wooden Background. Card With Holiday Greetings. Beach Vacation Symbolized By Sand, Deck Chair And Shell.